- indeed authorities provide zero basis, particular;y in citing example of truck driver with an exemplary record. - practice of charging people with illicit cocaine use from drinking coca tea upon drug testing highlights irresponsibility of drug testing authorities in failing to devise tests that distinguish between use of coca and that of isolated cocaine, which are feasible based upon coca containing additional components that drug testing entities are too lazy to test for. - drug testing likewise fails to distinguish between excessive amounts of cocaine nor any actual showing of impairment. Such tests ought to be set at a threshold higher than the amount derived from drinking a few cups of Coca tea. That they are not, is indicative of the drug war being all about protecting markets for caffeine and nicotine, and not about protecting health/guarding against actual drug abuse. Word is that this sociopathic market control policy is being felt more broadly, as authorities in such nations as conquistador occupied Peru are now blocking Coca tea exports. Would not it be nice that Peru could one day get a legitimate government representing its interests over that of the Spanish-Catholic inquisition. Despite the early hour - 8:30 AM, the panel was attended by about 25 people. Simply declare cocaine unsafe, without any mention of dilution-concentration factor whatsoever. Such prosecutions did not involve excessive dosing. 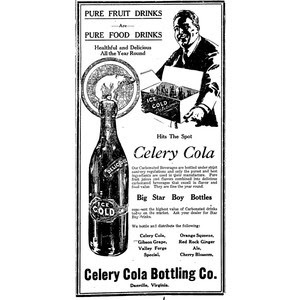 Koca Nola and Celery Cola for instance each contained under 1 milligram of cocaine per fluid ounce. Since cocaine was an ingredient required to be listed- how could it be declared an illegal ingredient, its presence automatically constituting "adulteration"?! Should not the prosecutions as those against Coca Nola and Celery Cola have then been only for "misbranding"? That prosecution apparently made no mention of any failure to label the cocaine content, being cited for "mislabeling" only insofar as failing to contain its labeled Kola nut. Coca leaves are the product of Erythroxylum Coca, Lam. (Bolivian or Huanuco leaves), and of E. truxillense, Rusby (Peruvian or Truxillo leaves), shrubs (N.O. Lineae) cultivated in Bolivia, Peru, and Ceylon whence the leaves are imported into Europe. Coca, U.S.P., must yield not less than 0.5 per cent. of the ether-soluble alkaloids of coca. Bolivian coca leaves are oval in outline and vary from 3.5 to 7 centimetres in length, and from 25 to 35 millimetres in breadth. They are brownish-green in colour and are generally well preserved. The veinlets are prominent on the upper surface, and the midrib, which projects at the apex, in the form of a minute horny apiculus, is seen under the lens to lie in a depression, and to bear a distinct raised ridge on the upper surface. On the under surface of the leaf two curved lines run from base to apex on each side of the midrib. The odour is faint but characteristic, and the taste is slightly bitter, followed by a sensation of numbness. Truxillo leaves are generally rather smaller than the Bolivian variety, more broken, and pale green in colour. The ridge above the midrib and the curved lines on each side of it are less distinct, and the veinlets much less prominent on the upper surface. They are occasionally mixed with flowers of a species of Inga, an intentional addition made with the object of improving the drug. 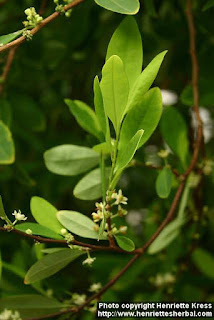 Ceylon leaves which are imported into this country in considerable quantities are the leaves of E. Coca; they resemble Bolivian leaves, but are usually larger, and are said to contain rather less alkaloid. Coca leaves from Java are derived from E. Coca, var. spruceanum, Burck. ; they are exported in the crushed state from Java to Germany via Amsterdam and yield about 0.7 per cent. of total alkaloid, part of which is benzoyl-pseudo-tropine or tropacocaine. Young (Java) leaves, carefully dried have been found to contain as much as 2 per cent. of alkaloid. As the cocaine is easily hydrolysed it is desirable that the leaves should be free from mildew and kept in a dry place. Constituents.—Coca leaves contain the alkaloids cocaine (methyl-benzoyl-ecgonine), cinnamyl-cocaine (methyl-cinnamyl-ecgonine), and truxilline (isatropyl-cocaine or cocamine). The total amount yielded by the commercial leaves varies from about 0.1 to 1.0 per cent. As a rule Truxillo leaves contain rather more alkaloid than Bolivian, but only about one-half of it is cocaine, whereas from three-fourths to five-sixths of the total alkaloid in Bolivian leaves consists of cocaine. The latter are to be preferred for medicinal use. Coca leaves also contain cocatannic acid. Java coca contains tropacocaine and four yellow crystalline glucosides, in addition to the other constituents. Action and Uses.—The properties of coca are virtually those of cocaine (see Cocaina) (not scanned), though preparations of the whole drug appear rather more stimulating and possess a mild astringency. In Peru and Bolivia, coca leaves are chewed for their effect in relieving hunger and fatigue. The leaves of commerce are not so active in this respect as the freshly dried drug used where it is found native. Coca leaves are used as a cerebral and muscle stimulant especially during convalescence. The drug relieves gastric pain, nausea and vomiting. Coca is usually administered in the form of one of the preparations. The liquid extract contains some wax from the leaves, which is precipitated when mixed with water. The miscible liquid extract is free from this objection. Extractum Cocae is dispensed in pills and pastilles. The latter are sucked for their local action and for their stimulating effect. Vinum Cocae and Elixir Cocae are more pleasant forms of administering the drug. In cases of poisoning by preparations of coca the antidotes described under Cocaina should be employed. Dose.—2 to 8 grammes (30 to 120 grains). Elixir Cocae, B.P.C.—ELIXIR OF COCA. 1 (miscible liquid extract) in 6. A palatable preparation of coca for use as a cerebral stimulant and gastric sedative. Dose.—4 to 15 mils (1 to 4 fluid drachms). Extractum Cocae, B.P.C.—EXTRACT OF COCA. Prepared by evaporation of the liquid extract. Dose.—1 to 6 decigrams (2 to 10 grains). Extractum Cocae Liquidum, B.P.—LIQUID EXTRACT OF COCA. Coca leaves, in No. 20 powder, 100; alcohol (60 per cent. ), sufficient to produce 100. Macerate the drug with 200 of alcohol for forty-eight hours, then transfer the mixture to a percolator, and percolate with sufficient alcohol to exhaust the drug. Reserve the first 75 of percolate; evaporate the remainder, at a temperature below 80°, to a soft extract, dissolve this in the reserved portion, and add sufficient alcohol to make up to the required volume. Liquid extract of coca is prescribed in mixture form or diluted with glycerin and syrup. It forms a turbid mixture with water, its waxy constituents being precipitated. Miscible liquid extract of coca is without this disadvantage. The content of total alkaloid in liquid extract of coca is very variable, ranging from 0.2 to 0.8 per cent., the average being about 0.38 per cent. This uncertainty in its composition causes the preparation to be little used. Dose.—2 to 4 mils (½ to 1 fluid drachm). Extractum Cocae Liquidum Miscibile, B.P.C.—MISCIBLE LIQUID EXTRACT OF COCA. 1 in 1. Miscible liquid extract of coca is free from the wax of the official liquid extract and forms a clear solution with water. It is usually weaker in total alkaloid than the official liquid extract. Dose.—2 to 4 mils (½ to 1 fluid drachm). Fluidextractum Cocae, U.S.P.—FLUIDEXTRACT OF COCA. Coca leaves, in No. 40 powder, 100; alcohol (49 per cent. ), a sufficient quantity. The finished product should contain 0.5 per cent. w/v of ether-soluble alkaloids of coca. Average dose.—2 mils (30 minims). Tinctura Cocae, B.P.C.—TINCTURE OF COCA. 1 in 5. Used as a cerebral stimulant and gastric sedative. Dose.—2 to 4 mils (½ to 1 fluid drachm). Vinum Cocae, B.P.C.—COCA WINE. 1 (elixir) in 8. This is a strongly medicated wine. In order that it may be included in the class of medicated wines for sale without a wine licence, it must contain not less than half a grain of alkaloid per fluid ounce. Acts mainly in virtue of its cocaine. Coca wine differs from tea, in that the former beverage acts mainly on the motor areas and the latter on the psychical, Dose.—8 to 15 mils (2 to 4 fluid drachms) with water. Vinum Cocae, U.S.P.—WINE OF COCA. Fluidextract of coca, 6.5; alcohol (95 per cent. 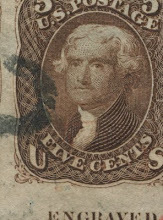 ), 7.5; sugar, 6.5; red wine, sufficient to produce 100. Average dose.—16 mils (4 fluid drachms). Vinum Cocae et Quininae Phosphatis, B.P.C.—COCA AND QUININE PHOSPHATE WINE. Each fluid ounce contains 1 grain of quinine sulphate, 30 minims of liquid extract of coca, 4 minims of diluted phosphoric acid, with alcohol, detannated sherry and distilled water. Dose.—15 to 60 mils (½ to 2 fluid ounces). 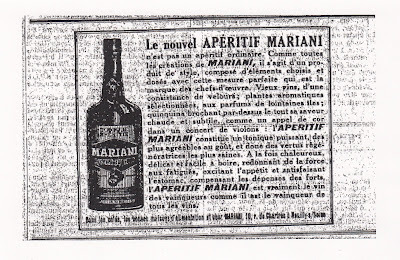 Historical accounts of Vin Mariani focus perhaps exclusively upon the years prior to the prohibition era. Here is a bit of the history following the 1906 U.S. Food and Drug Act that effectively blacklisted cocaine via including it on a list of ingredients that had to be labeled, though not including the other popularly used stimulants of caffeine and nicotine. 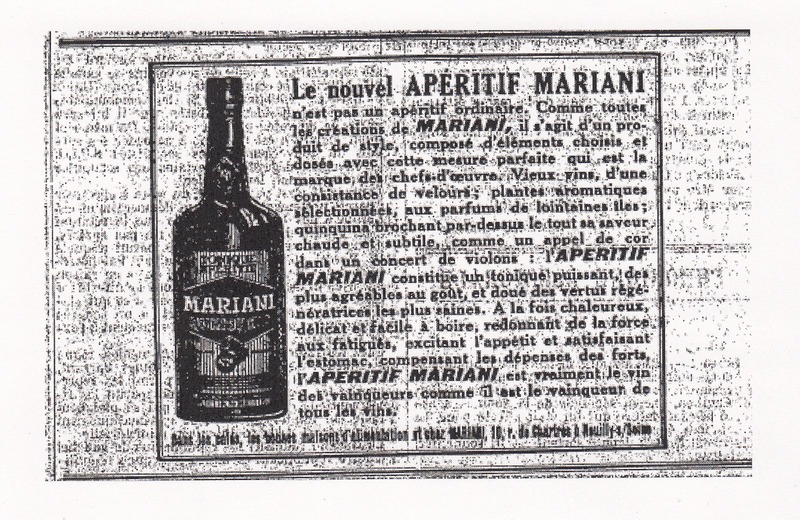 1907: Vin Mariani for the U.S. market deleted the cocaine, adding a rear side label- see below. I don't yet have information if they continued to provide the regular version as an alternative. That was actually a bad move for it implied that cocaine was something that did not belong in dilute amounts, never-mind that the real problems with cocaine came with it in concentrated forms, and that there was never any showing that cocaine in dilute form was any more "dangerous" than such other naturally occurring stimulant alkaloids as caffeine and nicotine,, both used in dilute form and both likewise poisonous in concentrated forms. The 1906 Act neither banned cocaine as an ingredient in food or drug products. It simply required labeling the cocaine content- itself a reasonable requirement, though actually misleading - by not likewise require the labeling of caffeine and nicotine it created a false assumption of cocaine being somehow more dangerous in likewise dilute form. However the 1906 Act would serve as a means to bring about the deletion of dilute cocaine, via its un-fetted delegation of regulatory power to declare an ingredient unsafe to the Bureau of Chemistry of the U.S.D.A. That started happening in 1907 with U.S.D.A. prosecutions not only against manufacturers for 'mislabeling' for failing to label the cocaine content, but others for adulteration for containing cocaine- even if properly label, with the U.S.D.A. declaring without basis that such cocaine content was dangerous. For instance, though Wiley was well known for his "poison squad" experimentations upon food containing various substances used as preservatives, he apparently never conducted any such researching upon beverages that contained cocaine. Such 'adulteration' prosecutions by the U.S.D.A. were done with products sold as foods. Never-mind that the 1906 Act's inclusion of cocaine as an ingredient that had to be labeled in food and drug products implicitly meant that it remained legal. Perhaps as a way of bolstering his authority to ban substances by declaring them unsafe Harvey Wiley initiated a famous prosecution against the Coca Cola Company for containing added caffeine- that is caffeine in pure form as a dilute ingredient- for he not only never targeted Coffee or Tea but actually praised them. Such prosecutions would only go after products sold as foods, and hence could conceivably be sold as drugs. However the political campaign being carried out by the U.S.D.A. Chemistry Bureau Chief Harvey Wiley - who was also prominent in the American Medical Association and its allied American Pharmaceutical Association - also targeted cocaine containing medicinal preparations via a massive lobbying effort of 'model legislation' for the individual U.S. States to ban the sale of such outside of a physicians prescription, with such prescriptions being mandated a s"non-refillable". Political machinations in the 1908 to 1914 period would work upon amending the 1906 Act to outright ban products containing any amount of cocaine and to severely restrict those containing at least above a certain amount of opiates- efforts that culminated in 1914 with the U.S. Harrison Act. While the particular political fear of cocaine was sold in newspapers as a fear of Negroes in the south, a 1910 U.S.D.A. Farmer Bulletin article more honestly presented the U.S.D.A. 's fear of Coca being sold and used as a "Tobacco Habit Cure". That Act would exempt products containing below a certain amount of opiates though not of cocaine from over the counter -- that is without a physician's prescription -- from a deceptively innocuous appearing to some tax requirement, to be administered by a U.S. Department of Treasury that was not actually required to honor requests for market participation thus effectively empowering that entity to enact a virtually blanket prohibition. 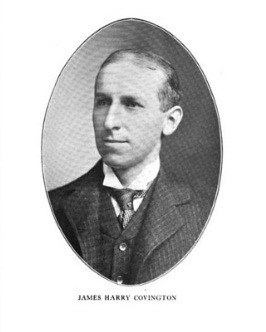 This delegation of regulatory authority would be upheld by a U.S. Judge who had served in the U.S. Congress from 1909 until his resignation in 1914, and who was present in deliberations regarding amending the 1906 Food and Drug Act leading to the crafting of the 1914 Harrison Act: James Harry Covington. As requiring non refillable prescriptions for products containing any amount of cocaine effectively made their sale and use impractical -- e.g. by requiring a separate physicians visit for each non refillable prescription -- cocaine containing preparations dissipated from OTC sales, with any such prescriptions effectively confined to a far narrower spectrum of uses, such as the use of the more concentrated preparations in surgical anesthesia. Any physician considering prescriptions outside of such a narrow range of uses would likewise soon be effectively cowed by the U.S. Treasury Department's abuse of its delegated regulatory authority to essentially practice medicine without a license. Other nations would adopt such polices, though for a time some exempted dilute cocaine products as Vin Mariani. Conceivably, Vin Mariani was produced in different versions for different market jurisdictions, though such information so far remains elusive. 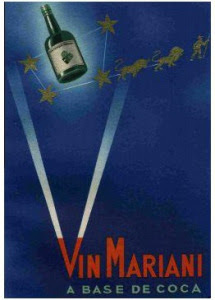 According to an article by Walter Helfland, Vin Mariani was sold in some form until 1963. If our drug policies appear convoluted today, think how they must have looked to the owners of the Coca-Cola Company just after the turn of the century. In 1911, company officials found themselves in federal court, charged with, among other things, not putting cocaine in Coca- Cola. 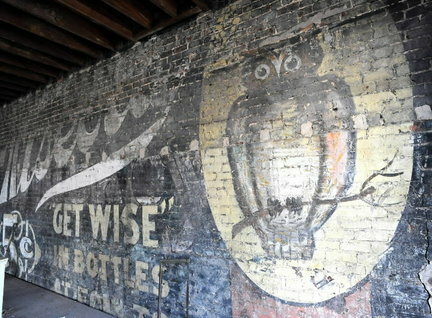 Popular histories of this period usually lump Coca-Cola with the [sic] other quack nostrums [sic- a nostrum is simply a medicated liquid meant to be take orally], often suggesting that the problem of cocaine abuse in America was, in some way, connected to the successes of the Coca-Cola Company. Except for the titillation factor, the idea has little to recommend it. Even when Coca-Cola contained cocaine, the amounts were trivial; too small to produce measurable physiological or behavioral changes. Coca-Cola was not responsible for America's cocaine problem, but government harassment of the Atlanta soft drink maker did mark an important turning point in the development of American drug policy, and is worth examining in some detail. 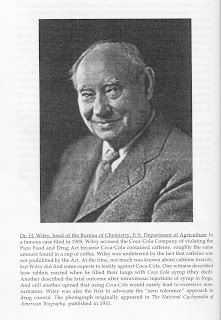 Government moves against Coca-Cola were orchestrated by Dr. Harvey Wiley, a zealous bureaucrat. 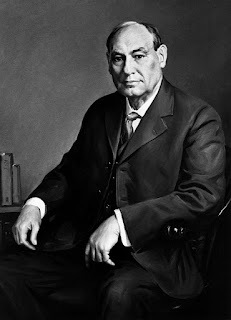 Wiley was the first head of the Bureau of Chemistry within the Department of Agriculture, the agency responsible for enforcing the Pure Food and Drug Act of 1906. Wiley was one in a series of government officials, such as Hamilton Wright and Harry Anslinger, who made their living by campaigning against the evils of drug abuse. These anti drug crusaders had more in common than just the desire to rid society of its drug problem; all were willing to use very bad, sometimes fraudulent science to advance their arguments. The duel problem of "drug careerism", and the tendency to use political considerations as a means of determining scientific truth, have not gone away. However, the issues were more clearly framed at the turn of the century. During the early 1900s, the patent medicine [sic- a 'patent medicine' would be something that is patentable, aka a synthetic creation today known as a 'pharmaceutical', what is referred to here are actually 'proprietary medicines' generally blended compounds of naturally existing substances] market was crowded and fiercely competitive [ahh! !- generally meaning less expensive]. No central registry for these products ever existed, but informed estimates suggest that, at one time, more than 25,000 different patent medications were for sale in the United States. As is true today, the success or failure of a new product was determined by the amount of money producers could spend on advertising. Millions upon millions were spent promoting these products, and since the market was completely unregulated, even the most outrageous claims were permitted. Revenues from patent [sic] drugmakers turned publishers into lobbyists for the drugmakers. Drug producers offered long term advertising contracts, but the contracts all contained automatic cancellation clauses, if by some accident, laws were passes prohibiting sales of heir product. The publishers, of course, made every effort to see that that did not occur. 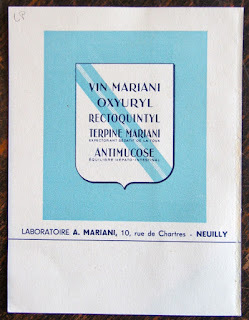 While some of the claims for Angelo Mariani's wine may have been overblown, there never was any doubt that the product contained wine and coca. 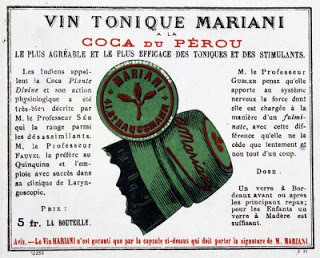 Using only coca leaf meant that there was a limit on how much cocaine Mariani could get into the wine. 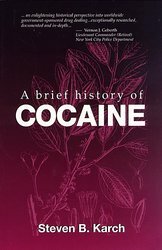 By the mid 1890s, however, there was a glut of cocaine on the market, and patent [sic] drugmakers were able to dump large amounts of cocaine into their products [sic- I've seen no indication of this with the beverages, rather the problem were types of preparations meant for more direct use, such as intranasal or by injection], making them very popular, but addictive [sic- a better term would be 'toxic-maniac] and dangerous. The medical literature of the late 1800s contains dozens of reports describing severe, occasionally lethal, reactions to cocaine anesthesia. But as far as anyone knows, no one ever became ill, let alone addicted, to Vin Mariani, or any other coca-based wine. Vin Mariani contained only a very small amount of cocaine, probably less than 6 mg per ounce, not enough to cause toxicity. When combined with alcohol, however, a 6 to 8 ounce serving would have been more than enough to create feelings of well being. 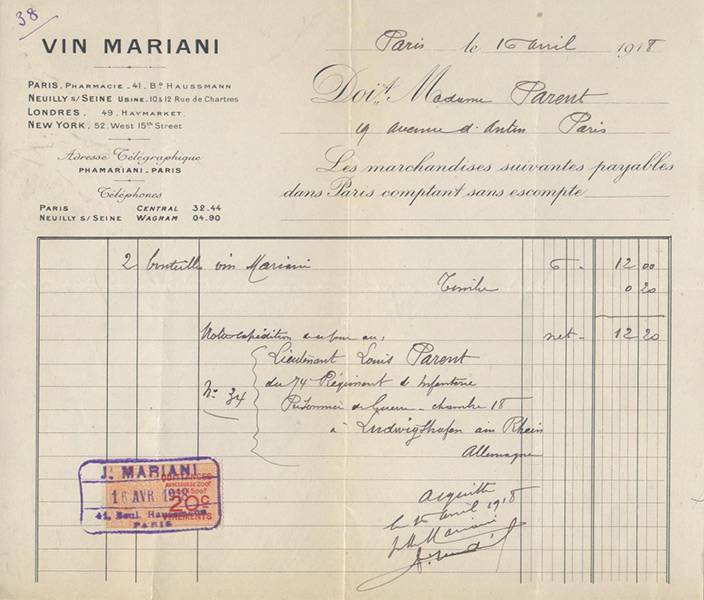 The real secret behind Vin Mariani's success was not even known to Mariani, and was only discovered more than a century later. In the late 1980s, the number of cocaine-related deaths in Miami, Florida began to explode. lee Hearn, a toxicologist with the Miami Dade County Medical Examiner office, and Deborah Mash, a neurochemist at the University of Miami, first noted that when the deceased had been drinking alcohol and using cocaine at the same time, a new molecule, somewhat like cocaine, could be detected in their urine. These observations were confirmed by Peter Jatlow at Yale, and another group of scientists in Barcelona. It is now clear that cocaethylene has most of the same stimulant properties as cocaine, but that it lasts much longer. 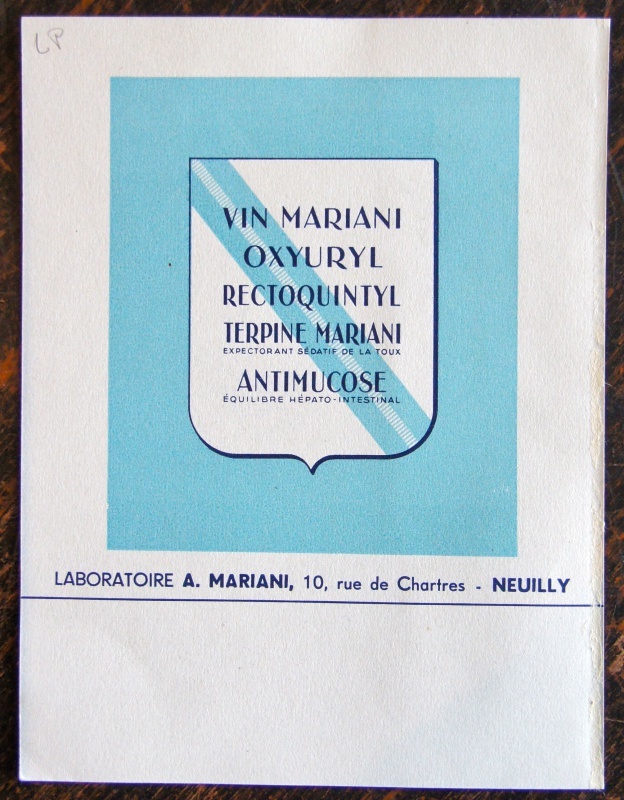 Even though the cocaine content of Mariani's wine was relatively low, mixing the cocaine with alcohol resulted in a much higher effective dose! Coca-Cola contained even less cocaine than Vin Mariani. According to a formulation held by the great-grandson of Frank Robinson, one of Coca-Cola's founders, 10 pounds of coca leaf were used to make 36 gallons of syrup. Coca leaf from South America contains very little cocaine, probably less than 0.5%, and not all of that can be extracted. Thus Coca-Cola, as originally produced, would have contained about 100 mg of cocaine per gallon (10lb=22.5 kg, 55 x 22.5 kg = 112 mg) or 1.5 mg per ounce, only one-fourth the amount of cocaine found in Vin Mariani. Such minute amounts of cocaine would certainly not have been enough to produce a detectable physiological response, and it is absurd to suggest that Coca-Cola ever had addictive properties, or that its cocaine content was responsible for its success. 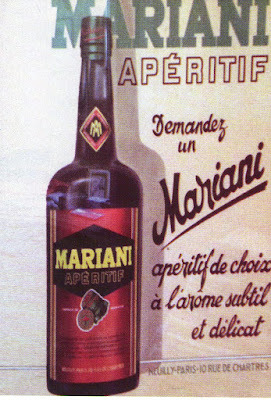 Coca-Cola was successful for the very same reason that Vin Mariani was successful: it was brilliantly promoted. Coca-Cola's managers were better salesmen than Mariani's, and Coca-Cola prospered, while Mariani gradually lost market share. Coca-Cola continued to grow and prosper long after the cocaine had been dropped from the original formula. 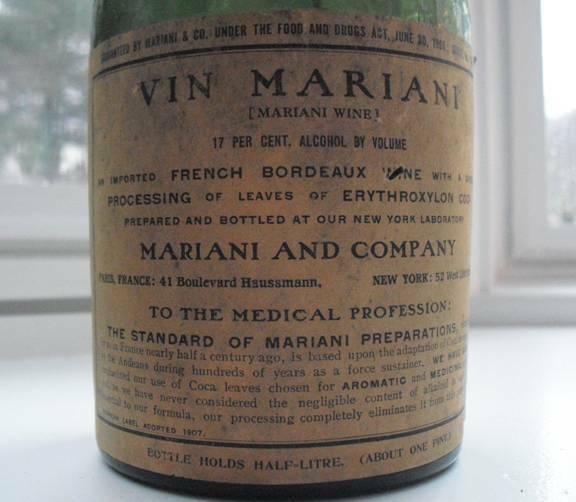 Vin Mariani was not so well promoted, and after World War I, it simply faded from existence. a re-post from 1997 about the Drug Policy Foundation's denial of a proposed panel on Opium and Coca for their conference that year in New Orleans, Louisiana. The Drug Policy Foundation (DPF) was the predecessor organization to the Drug Policy Alliance (DPA), that was created in 2000 with the DPF's merger with the Lindesmith Institute that was headed by Ethan Nadelmann- current DPA Executive Director. The President of the DPA's Board of Directors, Ira Glasser meanwhile served on the Board of Directors of the DPF. The DPA had been founded by Kevin Zeese from the National Organization to Reform Marijuana Laws (NORML), with Dr. Arnold S. Trebach of American University in 1986, who had left the organization in 1997. The Drug Policy Foundation, and the Drug Policy Alliance have been advised through the bro bono program of Covington & Burling, Washington D.C.'s leading corporate food, pharmaceutical and Tobacco industry law firm founded by an instrumental figure in establishing the 1914 Harrison Act, since at least 1988; and since about 1993 or 1994 started receiving funding from George Soros. DPF SAYS NO TO HOGSHIRE/OPIUM & COCA PANEL? *From a recent -- May 25th 1997 -- article from The New York Times, regarding the legal persecution of Jim Hogshire, author of the book "Opium for the Masses"
"To opponents of the drug war, the case showed how drug policy could clash with other American values. 'The guy was being persecuted because of the fact that he wrote a book,' said Arnold Trebach, founder of the Drug Policy Foundation, a Washington D.C. group that seeks alternatives to the drug war. 'A book! In America! Have we totally lost our sense of who we are?'" Indeed, have we totally lost our sense of who we are?!?! Like others, I was heartened to hear Dr. Trebach's words of support for Hogshire, and applauded his efforts at educating the public. Inspired by professor Trebach's words of support for "controversial" approaches to solving the problem of the Drug War, I made this formal proposal to the DPF for a panel at this year's annual conference. I thought the subject would have been of intense interest to both activists and scholars involved in drug war politics. Along with Coca leaf, Opium was outlawed by the so-called Harrison "Tax" Act of 1914, which aimed at the issue of "habit-forming" drugs, banned the citizen's right to purchase or possess Opium and Coca, or any of their various components like morphine or refined cocaine. This prohibition effectively stopped the trade in the plant products, while making the trade in potent white powder derivatives - heroin and cocaine hydrochloride -- immensely profitable. With the dominance of the latter modes of "hard" drugs, we need independent scholar working to enlighten the public about the uses of natural plant versions of the now illicit drugs- in short a look at how drugs are more likely to be consumed WITHOUT the twentieth century drug war, particularly that substance called "God's Own Medicine" -- opium. Professor Trebach's 1982 book, The Heroin Solution, suggests the need to talk seriously about opiates, particularly their use in pain control and patients' access to relief. My panel would give D.P.F. conference attendees just this forum to hear about the therapeutic potential of the PLANTS targeted by twentieth century "drug" prohibition, giving us the chance to avoid the canard of "hard drugs" and focus on a realistic approach to drugs and drug use. "Hard" drugs - e.g. "heroin" and "cocaine" -- have evoked great fears, leading people to advocate or acquiesce to more repressive and expensive drug laws and drug law enforcement, as if these molecules were necessarily pernicious. Yet prior to prohibition, opiates and cocaine were widely used as safely as aspirin and caffeine are now. Because we are so conditioned to react to the powder forms of these drugs, we forget that these more direct modes of ingestion -- sniffing, smoking and injecting -- were formerly a relatively rare phenomenon. Prior to the twentieth century's "war on drugs," most people using these drugs took them in dilute form, whether as raw plant material, or plant preparation of comparable potency. Such plants and their popular preparations, were widely recognized medicinal agents, worldwide. These substances have long and positive histories predating their criminalization by U.S. federal statute via the 1914 Harrison "Tax" Act and successive laws, and were used throughout the medical community as effective, cheap, and safe treatments for a variety of ailments. Opium poppies have been taken medicinally for thousands of years, taken topically, smoked (and even brewed as a tea, as suggested in Hogshire's "Opium for the Masses.") "Cocaine" -- or more accurately, Coca just had many uses. The Extra Pharmacopoeia (the British counterpart to the U.S. Pharmacopoeia) cited Coca as a "nervine and muscular tonic, preventing waste of tissue, appeasing hunger and thirst, relieving fatigue, and aiding free respiration ... useful in various diseases of the digestive and respiratory organs.... " Meanwhile, the Wine of Coca, , became the most widely praised plant preparation of the time. ’s creator, Angelo Mariani was hailed by Pope Leo XIII as a "benefactor of humanity" for making Coca available around the world- after 40 years of Coca wine distribution." All of this of course, prior to prohibition. Any honest program of harm reduction in drug use must go beyond the narrow-minded discussion of today's "hard drug problems": heroin and cocaine hydrochloride, to look at Opium and Coca, to reveal the drug war's most intense effects upon drug abuse -- shifting markets to the infinitely more dangerous concentrated substances, while the natural forms are virtually forgotten. --- My proposed panel would fill this serious void in the conference. NONE of the other panels allow a direct venue for either Opium or Coca although I am convinced many people -- including Dr. Trebach -- would be interested in hearing about these subjects. Jim Hogshire could do double duty and speak about his legal difficulties on the panel, The First Amendment – The Next Target of the War on Drugs. Besides Hogshire, this proposed panel has a good list of speakers of interest to the conference attendees. Dr. Lester Grinspoon would make an excellent speaker about both Opium and Coca. So would Cynthia Cotts, drug reporter for a number of publication now on the staff of the National Law Journal; as well as Dr. Ronald K. Siegel of UCLA, who has long researched the psychotropic plants, and gave a good presentation at my 1995 DPF conference panel COCA '95: A Necessary Drug Policy Alternative From Abroad, that I moderated on October 21, 1995 in Santa Monica. Dr. Andrew Weil would certainly make an interesting presentation. Given his background, I find it incomprehensible the DPF has not featured him as a conference speaker in seven years! All of my proposed speakers have indicated their interest in appearing on DPF panels, so the problem isn't lack of suitable material or interesting speakers. And I doubt the problem is lack of intellectual curiosity by Trebach and other DPF members. So how come the DPF doesn't seem to be able to walk the walk -- after all, it certainly talks the talk! Just who makes the decisions regarding conference panels? Maybe Arnold Trebach doesn't know what his underlings are doing with his organization, which seems to be playing it so cautiously it's hard to distinguish between them and some of the drug warriors. Did this panel proposal: Tinctures of Opium, Wines of Coca, etc -- Popular, Pre-prohibition Uses of Natural Plants Perverted by Drug Prohibition just slip between the cracks amidst DPF staff changes? If the cause is political fear of "controversial", non-establishment ideas on promoting and end to Drug War mayhem, I am not alone in thinking that kind of compromise is fatal -- and should be fatal -- to any movement that pretends to advocate for people's rights. What if civil rights workers of the 1950s and 1960s had, rather than challenge segregation as wrong (and stick to their guns) instead chosen to meekly apologize for the color of their skins and an oppressive government policy? Does anyone out there have any advice about how can we get through to the right people within the D.P.F. [main phone 202 537 5005; fax 202 537 3007, web site with chat rooms and forum boards,http://www.dpf.org], for them to recognize the very fallacy of NOT pointing out how twentieth century prohibition is morally WRONG, and thus the need to attack the very dogma of the State Party line that [certain] drugs are evil? As the D.P.F., after all, was initially founded to help educate the public about the issues of drug policy, it would be a shame for it to lose its sense of what it was. This is all a pity. The Drug Policy Foundation that was founded by Zeese and Trebach had done a relatively good job during the organization's early years, into the early 1990s- something I can attest to having attended all of their major conferences since 1989. But starting in 1993 they have become increasingly timid with a tunnel vision focus more upon drugs in their more dangerous feared forms rather than the broad context of how such drugs - namely opiates and cocaine -- became perverted by prohibition, nor the potential benefits of the banned substances, as well as the rippling effects of the market distortion created by the 20th century "progressive" policies as the drug war. To wit: where are the DPA panels spotlighting the use of Cannabis Oil to treat-cure cancer? Until now I've had a policy of not banning people from this page. SAM Oregon is not just a page on Facebook, we are an official organization that operates in Oregon. I am not just the page Admin, but the Director of this organization. I have been tasked to monitor the implementation of measure 91 and to track the stats with this implementation. If you disagree with anything posted to this page, that's fine. Don't come back with unsubstantiated information or propaganda. If trolling and being insulting is all you're looking for the best option is to leave this page on your own accord. I watched as lies were spread during the Measure 91 campaign and I will not tolerate it on this page. This is your one and only warming. If it continues I will not hesitate to block you. And no it is not an attempt to suppress information that opposes mine, it is to keep the the lies from spreading. You will not stop us from getting the truth out. Two reasons I was nominated for SAM Oregon is my determination and knowledge on marijuana research. The first of which means you cannot get in my way and I will not give up. SAM Oregon is the freight train and your doomed marijuana legalization is on the tracks. You might want to move it before we demolish it. I would like to propose you as a speaker to be invited by the Drug Policy Alliance (DPA) for their upcoming International Drug Policy Reform Conference to be held at the Crystal Gateway Marriott, 1700 Jefferson Davis Highway, in Arlington, VA 22202, November 18-21, 2015. I am a long time drug policy activist-historian who has attended the international conferences of the DPA , and those of its predecessor organization, the Drug Policy Foundation, since 1989. I was a panelist at the DPF conference panels on cocaine in 1991 and 1992, the moderator of their 1995 conference panel COCA 95 A Necessary Drug Policy Alternative from Abroad, and the author of papers on the topic of prohibition’s effects on cocaine usage, published in the DPF conference compendiums in 1990, 1991 and 1992. These papers and the 1995 panel are viewable at my blog ‘Freedom of Medicine and Diet’. I suggest that you might be made a part of a panel that I have proposed for this November 18-21 conference ‘Covington & Burling and Drug Policy’- please see attached proposal. ... and to go further, how lying about cocaine was meant to protect markets for Tobacco. That was evident with the 1906 Act's limiting the USDA's authority over substances in the U.S. Pharmacopoeia, from which Tobacco had been deleted in 1905, and the 1910 USDA Farmers' Bulletin article "Habit Forming Agents- Their Sale and Use a Menace to the Public Welfare", which decried the use of Coca against Tobacco, so described as "what is commonly believed to be a comparatively harmless habit" - authored by L.F. Kebler. Yet it was Kebler, who in 1912 testified at a U.S. House of Representatives COMMlTTEE ON lNTERSTATE AND FORElGN COMMERCE hearing on the Food and Drug Act, that "tobacco and preparations of tobacco contain arsenic and lead, due to the fact that there has been used in the growing of tobacco lead arsenate, a chemical to deter or kill certain pests. As a matter of fact, some tobacco contains a goodly quantity of arsenic.... most of them would be dangerous to health". However, Wiley was more successful with cocaine, which enjoyed popularity as an ingredient in several tonics and beverages but had recently come into disrepute. Cocaine is derived from the coca leaf, used since time immemorial by South American Indians with no evident ill effects. It was first popularized in the form of relatively mild tonics such as the famous Vin Mariani — endorsed by Thomas Edison, Pope Leo XIII, and President McKinley — and the original Coca-Cola. Like the coca tea enjoyed in the Andes, these beverages contained low levels of cocaine, and produced no evident ill effects. However, problems began to arise with the introduction of more potent cocaine in pure, powdered form following the announcement of its remarkable pharmaceutical properties by Carl Koller in 1884. A brief flurry of medical enthusiasm was soon dampened by disturbing reports of addiction, as previously normal patients became transformed into crazed "cocaine fiends." In the South, cocaine was blamed for inciting violent behavior in blacks. In the nation's capital, cocaine was seen as "one of the growing evils of the city among the lower classes," and became a motivating factor in the District Commissioners' push for the D.C. Pharmacy and Poisons Act.8 By 1906, nearly half the states had laws prohibiting the sale of cocaine except on a doctor's prescription — essentially the model followed in the Harrison Act. Although the Pure Food and Drugs Act was not prima facie a prohibition law, its provisions regarding food adulteration gave the Bureau leverage to intervene in the marketplace. In specific, the act defined adulterants to include any "deleterious ingredient" that might render the article "injurious to health." Seizing on this provision, Wiley declared cocaine to be an "adulterant" and sued to have it removed from beverages. At no point did Wiley ever show that the low levels of cocaine in coca beverages were actually injurious to health. Indeed, coca beverages and leaf remain legal to this day in the Andean countries, where they are thought to help stave off fatigue, hunger, and diabetes. Nevertheless, Wiley succeeded in pressuring manufacturers to withdraw all cocaine from their beverages. Ironically, that left only the more potent, addictive form of cocaine available on the market as a pharmaceutical drug. Although cocaine was ultimately restricted to prescription-only use under the Harrison Act, nothing could stop it from leaking out into the nonmedical black market, eventually metastasizing into other countries and becoming one of the world's largest criminal enterprises. Wiley's ban on coca would eventually be incorporated into international law by the Single Convention Treaty (1961), at the insistence of U.S. drug bureaucrats. While criminalization of the coca trade has effectively "protected" American consumers from harmless coca beverages, it has left millions more exposed to illicit, high-potency cocaine. Meanwhile, it has inflamed a violent war in Latin America that has cost U.S. taxpayers billions of dollars, claimed thousands of casualties, and injected corruption, violence, gangsterism, and criminality into what was a peaceful and lawful business a century ago. Labels: Coca, cocaine, Harvey Washington Wiley, U.S.D.A. Eric Holder advises clients on complex investigations and litigation matters, including those that are international in scope and involve significant regulatory enforcement issues and substantial reputational concerns. Mr. Holder, who was a partner at Covington from 2001 to 2009, rejoined the firm after serving for six years as the 82nd Attorney General of the United States. Before his service as Attorney General, Mr. Holder maintained a wide-ranging investigations and litigation practice at Covington. Among numerous significant engagements, he led the firm’s representation of a major multi-national agricultural company in related civil, criminal, and investigative matters; acted as counsel to a special investigative committee of the board of directors of a Fortune 50 technology company; successfully tried a complex discrimination lawsuit on behalf of a leading financial services company; and represented several life sciences companies in litigation and investigations. Including his tenure as Attorney General, Mr. Holder has served in government for more than thirty years, having been appointed to various positions requiring U.S. Senate confirmation by Presidents Obama, Clinton and Reagan.